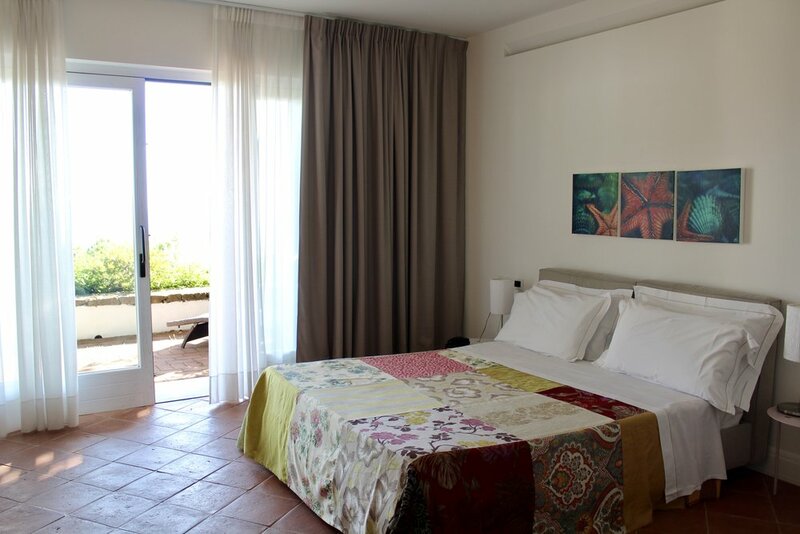 Unpack your bags only once to stay at Borgo La Pietraia overlooking the Tyrrhenian Sea. The enclosed property is perfect for an artists retreat. Guests can set up their easel anywhere on the property and then gather together for conversation and critiques in the modern amphitheater overlooking the Amalfi and Cilento Coasts. Visit the protected Cilento coast and the town of Borgo Castellabate, a UNESCO World Heritage site, named one of Italy’s most beautiful villages. Paint in the gardens of the first medical school in Europe, overlooking the Amalfi Coast. 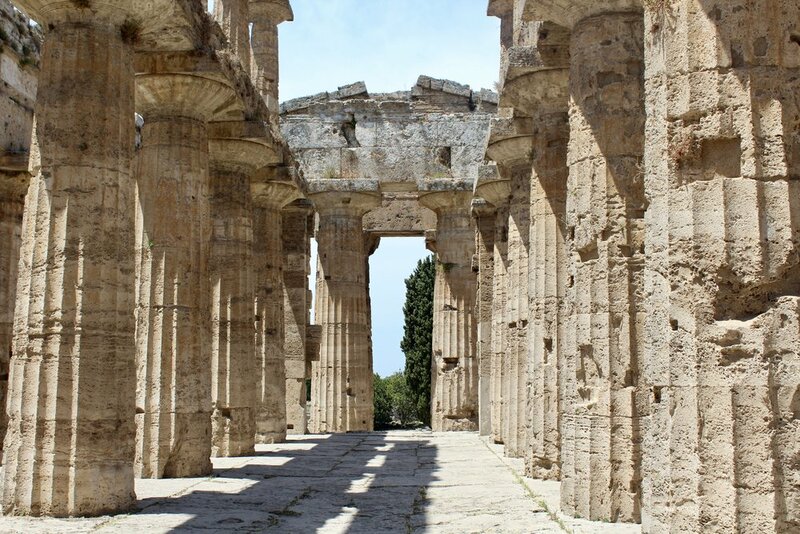 Day 2: Grand Tour of Paestum: Spend the day at the ruins of Paestum, one of the most important stops on the Grand Tour. 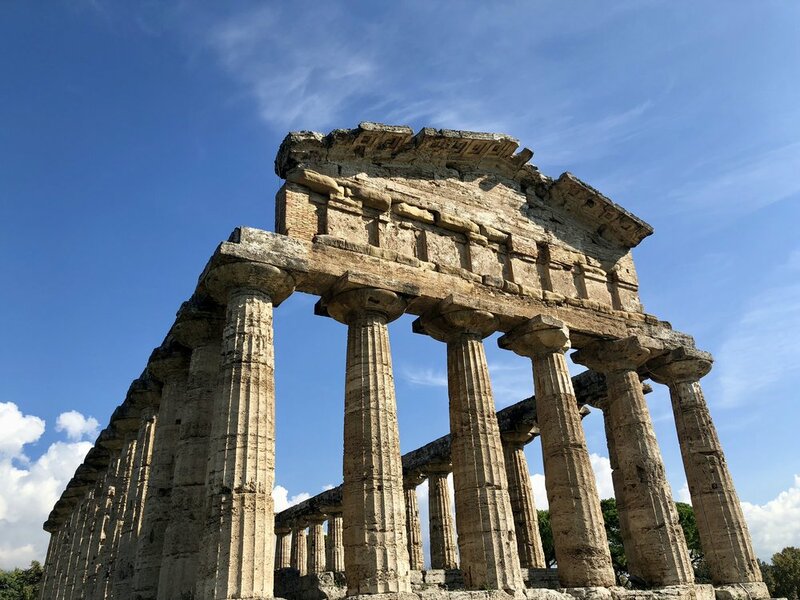 The day will open with a 2 hour guided tour of the archaeological site and museum including the vaults to see the painted tombs from the 3rd century BC. The rest of the day is dedicated to painting outside. Guests may have lunch independently as the restaurants directly across the street from the ruins. Day 3: Cilento Coast: Spend the morning shopping and strolling along the beach at Santa Maria Castellabate on the Cilento Coast. In the afternoon we’ll drive to Borgo Castellabate, a UNESCO World Heritage site for an afternoon of exploring the medieval streets and alleys for painting. At dusk we’ll transfer to Agropoli for the evening paseggiata through the modern town center (for shopping) up to the medieval castle where guests may have dinner on their own. 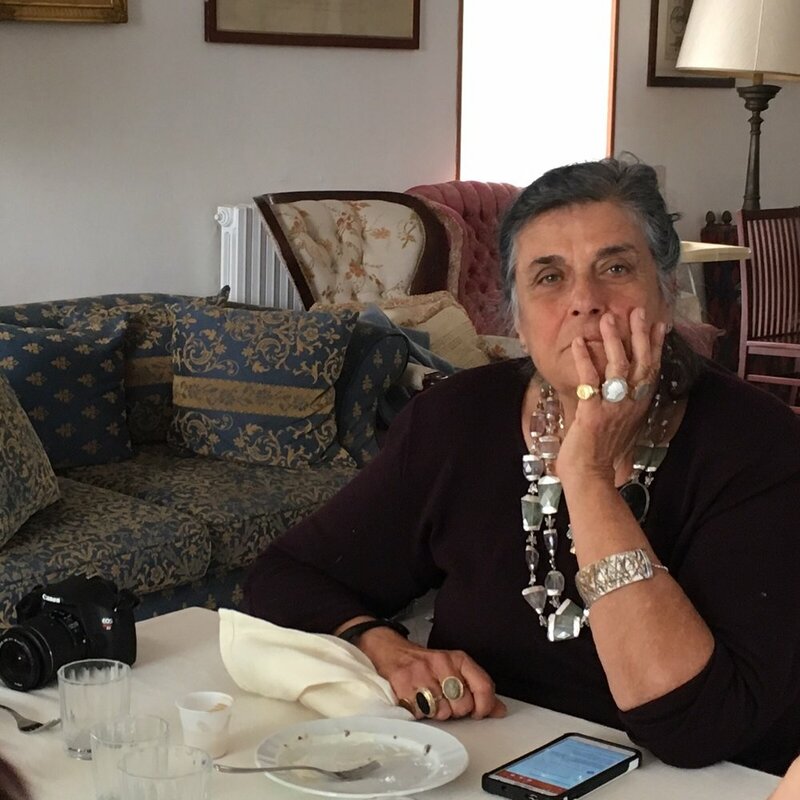 Day 4: Cook with the Baronessa: Spend the morning learning to cook on the buffalo farm of Baronessa Cecilia Bellelli. After feasting on your hard work, enjoy free time to sketch in her rose garden. Day 5: Salerno and Amalfi Coast Artisans: Visit the medieval herb garden planted among the ruins of 12th century medical school in Salerno, the first medical school in Europe. After a short tour, spread out to paint with views from the garden overlooking the Amalfi Coast. 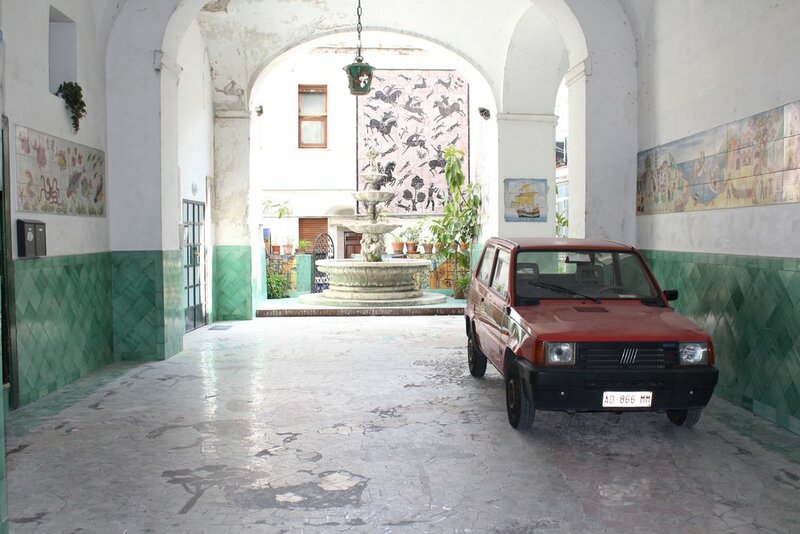 In the afternoon we’ll transfer to nearby Raito, a town of ceramics artisans to visit painters in their workshops. Evening stroll and dinner in Vietri-sul-Mare. Day 6: Relax: Free day to relax on the property. We can also help guests arrange excursions if they wish. Day 7: Cilento Villages Enjoy a light hike between Capaccio and Trentinara, two medieval villages nearby Borgo La Pietraia. Have a 0KM lunch at the farm called Fattoria Cavallo and set up your easel among the animals and olive trees. After sunset we’ll have a closing dinner at FOOD. Day 8 Arrivederci: Depart Borgo La Pietraia at 10am for Naples. Before leaving we’ll stop at the Sanctuary of the Madonna of the Pomegranate for one last look at this beautiful countryside.